More pictures to keep us dreaming of warmer weather. This time, spring-blooming multi-colored flowers. This is one of our earliest blooming native plants (the only one I can think of that blooms earlier is skunk cabbage). 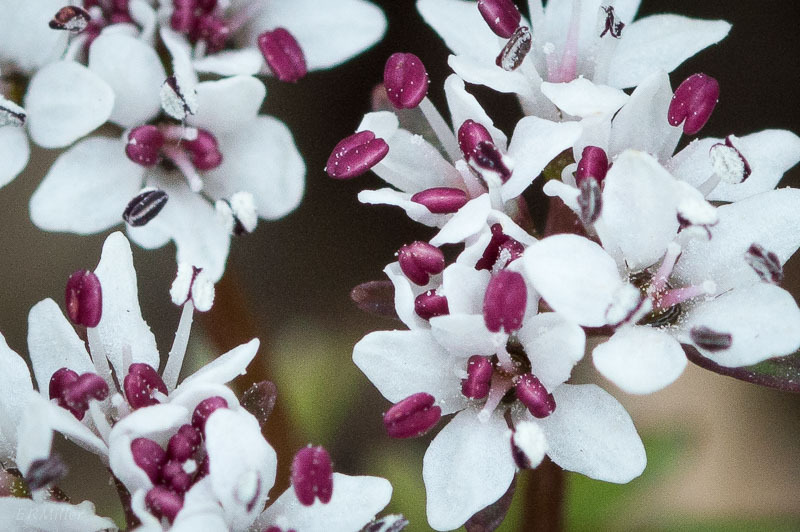 These anthers turn quickly from dark red to black, giving rise to another common name, pepper-and-salt. That’s right, bluebells again, because here they are in several different colors all in one clump. I can’t wait to see them again. 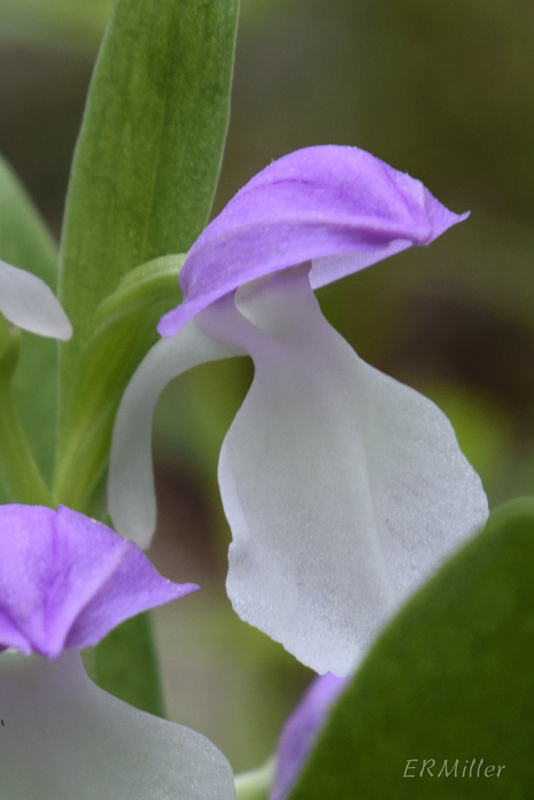 This surprisingly common terrestrial orchid grows in all the physiographic provinces in Maryland, but we have the most records for it in the piedmont and coastal plain. 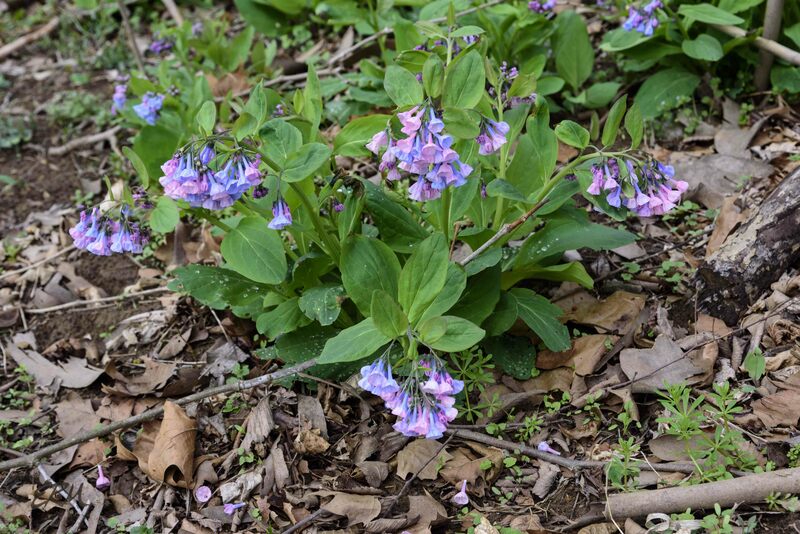 Look for it blooming in April and May in rich, moist soils in wooded areas. Common blue violets are, well, pretty common around here. They seem quite fond of edge areas and open woodlands, always in moist soils. They can be found all over Maryland, blooming from late March into early May. 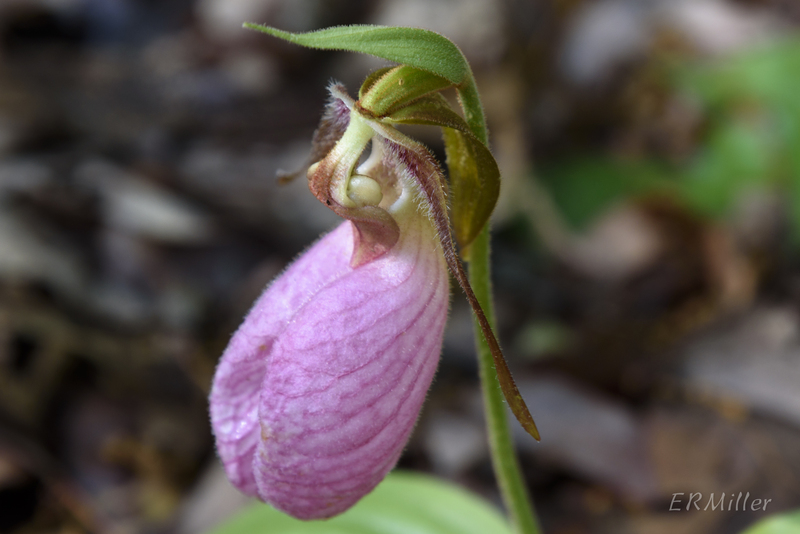 Like most orchids, pink lady’s slipper has specific growing requirements, which means you won’t find it just anywhere. But it does grow pretty much all over the state. 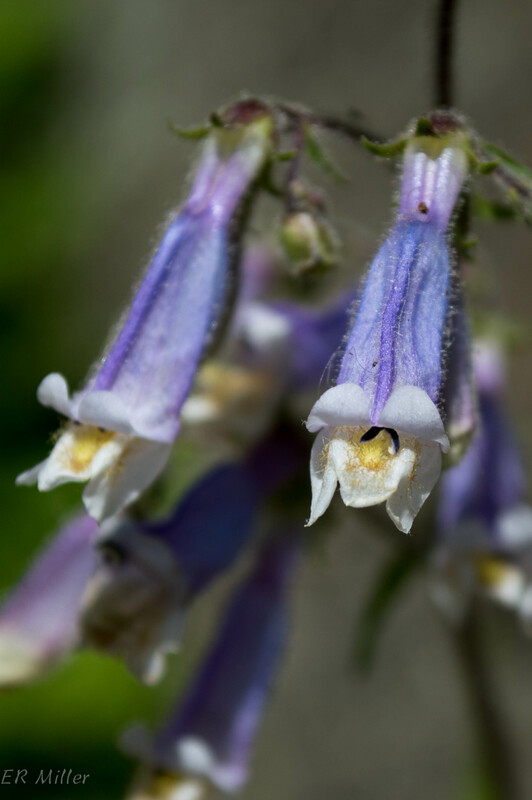 Look for it flowering in early May, in rich, undisturbed woodland soils. This bizarre-looking flower is found mostly in the northern part of Maryland, but there’s a reliable stand on the Billy Goat B trail. 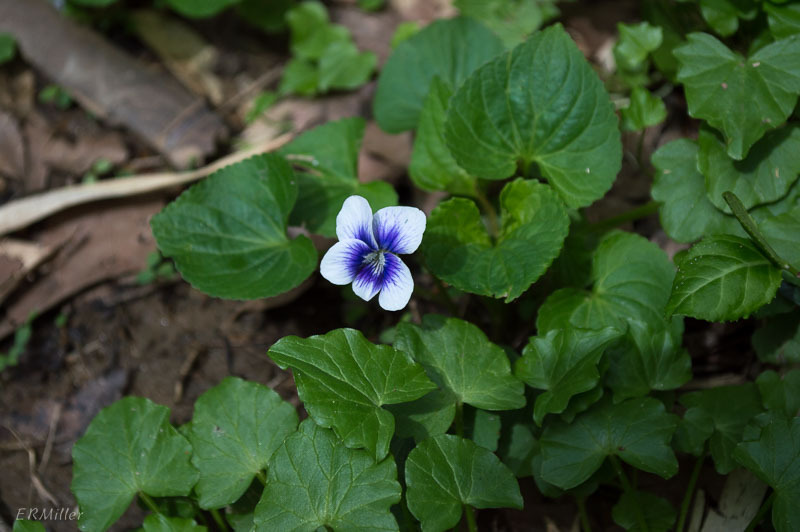 Look for it in lean soils (rocky areas) in full sun light, blooming from early to late May. What can I write about partridgeberry that I haven’t written before? This is one of my very favorites; I go looking for it every year at the end of May. 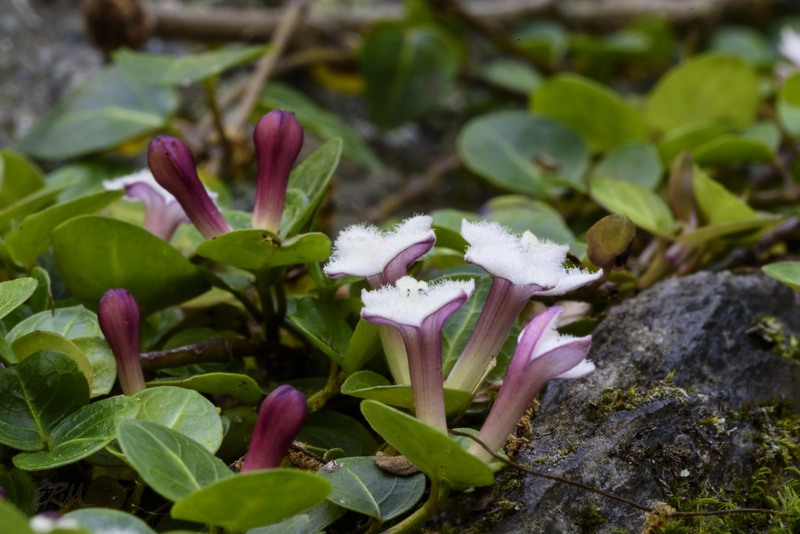 The plants grow very long but stay very low, creeping along rocks. We have records for it in every Maryland county. Although it isn’t on the Maryland RTE list, we only have records for it in three quads in Montgomery County. I think that’s rather odd, and suspect it’s due to misidentification (see The Botanerd’s Handy Guide to Thalictrum Species). That bright pink on the sepals and filaments turns quickly to brown. 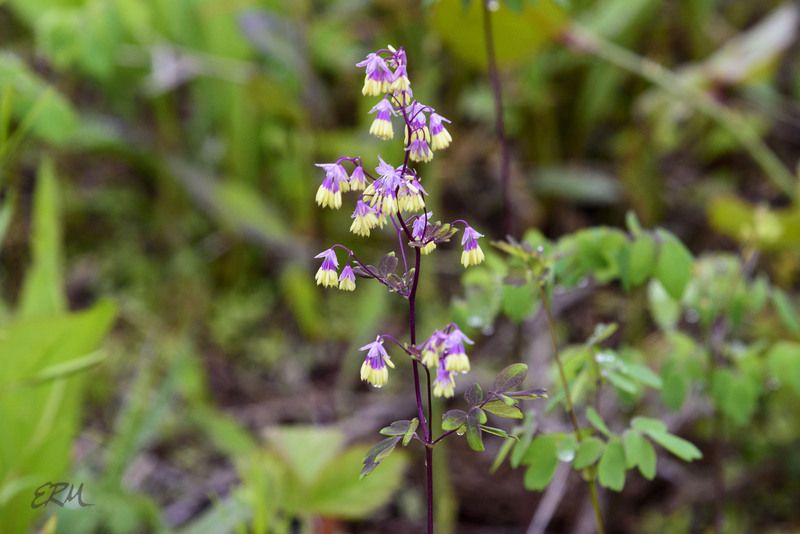 This entry was posted in Uncategorized and tagged Cypripedium, Erigenia, Galearis, Mertensia, Mitchella, Penstemon, Thalictrum, Viola by elizabeth. Bookmark the permalink. Many years ago, National Geographic published pictures of how flowers looked to insects who can see infrared or ultraviolet light. It was quite fascinating to see all the patterns and colors designed for their pollinators. I bet that would be really neat to see. Oh yes. I still remember it. It is also fascinating to see flowers from their perspective. It is interesting to know that we all have different perspectives and priorities, just like they respond to fragrances.